Man Walks Into A Funeral And Scares Everyone... Because It's HIS Own Funeral!! 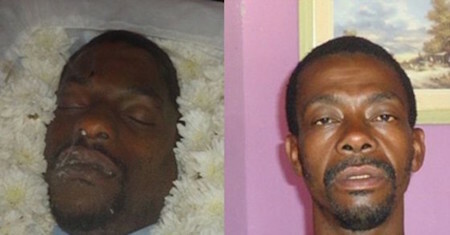 Man Walks Into A Funeral And Scares Everyone… Because It’s HIS Own Funeral!! Losing someone you love that has died is one of the most heart-wrenching things you will ever have to go through. Anyone who has experienced this knows the feeling of wanting just one more moment with that person. So when friends and family of Gilberto Araujo were mourning him at his wake something happened that nobody ever expected. As they stood next to the casket, weeping, a man walked into the room. It was Gilberto! As it turns out, his coworker, a man who looked eerily similar to him, was the man inside the coffin. 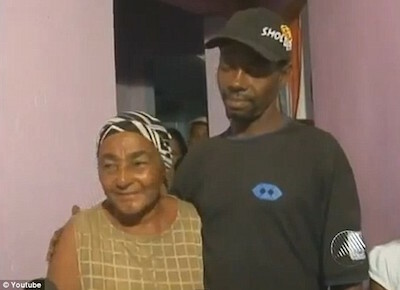 When he walked into announce he was actually still alive, his family lost it! They thought he was a ghost! People started fainting and running out of the building – they just saw a dead man. Both Gilberto and the dead man worked at the same carwash. 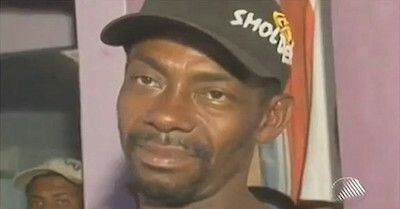 When news went around that a carwash worker had been shot, it was assumed it was Gilberto. He had been missing for some time. Police called his brother to come down to the morgue and identify the body. When he got there, the man looked just like him, so they prepared for the funeral. By coincidence, a friend of the family saw Gilberto walking down the street and told him about his own funeral. So Gilberto went there to announce the mistake. This Is What Happens When Morons Try To Rob An Undercover Cop! Would YOU Eat At This Table Made Of Petrified Human Remains?